These KEEN Utility 1016962 Davenport composite toe hikers are made for those in construction work, but don't let that turn you away from them. They're the perfect versatile composite safety toe boots that any hardworking man can slip his feet into and enjoy due to ... (see full details) (see specifications) #1016962. These KEEN Utility 1016962 Davenport composite toe hikers are made for those in construction work, but don't let that turn you away from them. They're the perfect versatile composite safety toe boots that any hardworking man can slip his feet into and enjoy due to being waterproof, comfortable, durable, and protective. Because these KEEN Utility Davenport hikers are made for all kinds of work, you can bet they're tough. The upper is crafted from brown-colored Nubuck leather, which is top-grain cattle leather that has been buffed and sanded. The buffing and sanding process produces a smooth, velvet-like surface that's soft to the touch and easy on the eyes, but it also makes the leather resistant to wear. The outsole is made from thick, durable rubber that won't easily degrade with time. The leather and rubber combination makes fine, resilient KEEN Utility men's boots that you'll certainly love. For job site safety, these non-metallic hikers don't fall short of amazing. For the protection of your toes, they have a left and right asymmetrical, non-metallic composite toe that qualifies them to be labeled as ASTM F2413-11 I/75 C/75 EH. In the event that something heavy is dropped onto your foot or continued pressure is applied to your foot, the lightweight composite safety toe cap will resist impact and compression to guard your toes. The EH label stands for electrical hazard, and it has to do with the previously described rubber outsole. The rubber can prevent your body from incurring injury from electrical shock. The outsoles are also superb at preventing accidental falls because they're slip-resistant. In fact, they meet the requirements for the non-slip safety testing standard ASTM F1677-96 Mark II. The outsole is also oil-resistant and non-marking. Finally, the sole features a 90-degree angle so that while you're climbing a ladder or leaning on a ledge, your slip-resistant EH boots won't be an uneven surface to alter your balance. Because some of your work involves run-ins with water or other liquids, you need these men's Davenport brown leather boots to be waterproof. Fortunately for you, they are. In fact, the Nubuck leather is 100 percent waterproof. In addition to the upper, these composite toe boots also have KEEN Utility's waterproof breathable membrane and a moisture-wicking lining. The breathable membrane allows airflow to your feet while keeping the water out. It also helps the moisture evaporate away quickly so your feet do not get wet. As for the moisture-wicking lining, it doesn't permit any water to pass; it deters it. But what good are tough, safe, and waterproof boots if they cannot be worn comfortably by your feet? These durable safety toe hikers were thoughtfully made to provide your feet with supreme coziness, support, and ease of movement. Within the men's footwear, you can find a removable Metatomical dual-density EVA footbed, which provides excellent support for your arch and shapes to the natural contours of your feet for a gentle cradling feel. A TPU shank provides stability and reduces wear to your foot from ground strike impact by absorbing the shock. The interior of the waterproof boots has a textile lining to provide softness and breathability. The midsole is made from polyurethane, which is a durable yet cushiony material that will provide strength to the other soft and supportive features previously mentioned. But in case that's not enough comfort for you, these KEEN Utility boots are orthotic friendly. Finally, to provide you with ease of movement, all six inches of the design is metal-free. You won't be weighed down while you're hard at work in these. Do yourself a favor and invest in these KEEN Utility 1016962 Davenport composite toe hikers from Working Person's Store. They're sure to comfort and protect your active toes, all while providing you with waterproof protection. Plus, they’re rugged men's leather boot that you won’t have to replace for many wears to come. Very good and comfortable utility shoes. I wear them for 10 hr minimum a day, sometimes for 20 - 25 hours because of work and they are still ok. They are true to size so when you are ordering, you don't have to worry about that. 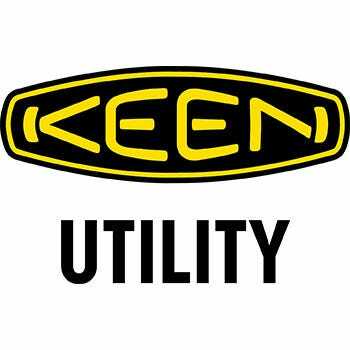 KEEN Utility 1016962 Davenport Composite Toe Hikers is being added to your cart.